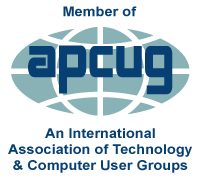 April 8, 2018 – SIG-Computing: LinkedIn basics; SIG-Linux: Shotcut video editor – SouthEastern Michigan Computer Organization, Inc.
Sharan Kalwani, president of SEMCO, will start the meeting and make general announcements. When: Sunday, April 8, 2018 at 1:15 P.M.
Meeting Room 2 (in basement). Ask at Front Desk. Jarrett will discuss the many features of LinkedIn as they align to building professional and business brands. As an interactive workshop, participants will learn the various components and steps to take to create a LinkedIn profiles and will examine strategies to leverage network connections, groups and discussion forums. Attendees will also leave the workshop with creative approaches to maximize LinkedIn Education. to remain current and competitive in today’s forever changing industry markets. Jarrett Waddy is the founder of Resume ReVamp, LLC, which supports human capital development, personal branding and employer diversity & inclusion initiatives for various clients. He holds both a Masters degree in Human Resource Administration from Central Michigan University and a B.B.A in Marketing from Eastern Michigan University. Also: Questions and Answers following the presentation. When: Sunday, April 8, 2018 at 1:30 P.M.
Shotcut is a free and open-source cross-platform video editing application for FreeBSD, Linux, OS X and Windows. Started in 2011 by Dan Dennedy, Shotcut is developed on the MLT Multimedia Framework, in development since 2004 by the same author. ShotCut appears to have the right balance between basic video editing and professional approaches. (sometimes called ‘prosumer’). We will look at this in the same way as we previously examined Avidemux, OpenShot and Cinelerra. This is the fourth examination at open source video editors in the series. When: Sunday, April 8, 2018 at 3:00 P.M.
Free Wi-Fi available. Our thanks to Bloomfield Township Public Library, for providing our meeting space!